The Compact of Mayors is an ambitious agreement by mayors and other city officials to publically commit to deep GHG emissions reductions -- making existing mitigation and adaptation targets and plans public and report on their progress annually -- using a newly-standardized measurement system that is compatible with international practices. Through this initiative, cities will be choosing to meet the same requirements proposed for the international climate negotiations that will lead to a global climate treaty in 2015. 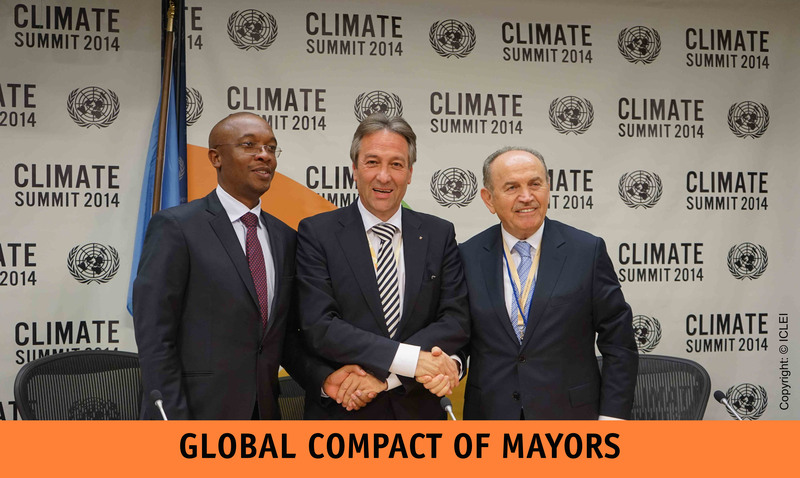 The Compact of Mayors was launched on September 23, 2014, at the UN Secretary General’s Climate Summit in New York City by the C40 – Cities Climate Leadership Group, ICLEI – Local Governments for Sustainability, and UCLG – endorsed by UN-Habitat, UN Secretary General´s Special Envoy for Cities and Climate Change, UN Secretary General´s Climate Change Support Team. 447 cities, representing 390,761,581 people worldwide and 5.39% of the total global population, have committed to the Compact of Mayors. Encourage national governments to actively support additional city action by recognizing local commitments, establishing more enabling policy environments and directing resources to cities to limit any further increase in global warming and to appropriately resource both mitigation and adaptation local climate action. Addressing climate change entails making our cities more knowledgeable about their own consumption and resilience. The Compact will contribute to that,” said Kadir Topbaş, Mayor of Istanbul and President of UCLG. 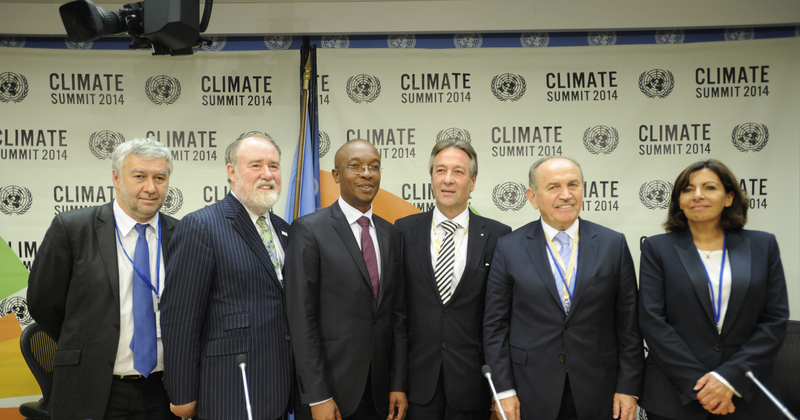 During COP21 and in conjunction with the Climate Summit for Local Leaders, Michael R. Bloomberg, UN Secretary-General’s Special Envoy for Cities and Climate Change, founder of Bloomberg LP and former mayor of New York City, and European Commissioner for Economic and Financial Affairs, Taxation and Customs and Former Finance Minister of France Pierre Moscovici, announced that the Compact of Mayors and the Covenant of Mayors will formally partner to promote and support voluntary city action to combat climate change. The partnership between the Compact of Mayors and the Covenant of Mayors, the European Union’s initiative of several thousand local governments assuming the responsibility of tackling climate change in their territories, will open a new chapter to demonstrate the global impact of local city action. Join the Compact of Mayors! You can use this template letter to send back to us to express your commitment.